Poetry is a wonderful accompaniment to meditation, especially when the poet speaks of a deep spiritual, human truth through skillful use of words. 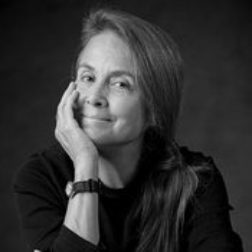 Naomi Shihab Nye is such a poet, and I first found her through her popular poem, Kindness. Here, I share a poem I read at a meditation group recently. I was guest teaching for Heart of Light Meditation in Berkeley, California. At the end of a silent sit, I read aloud these words. clicking out tiny metallic notes. It is a familiar song but I couldn’t name it.